When you look at the transformation of the sales industry over the past decade, it’s clear that modern sales teams must implement a sales technology stack. We know that a CRM dashboard alone isn’t enough for a functional sales stack, and high-growth sales development teams have an average of 5 applications in their technology stack. 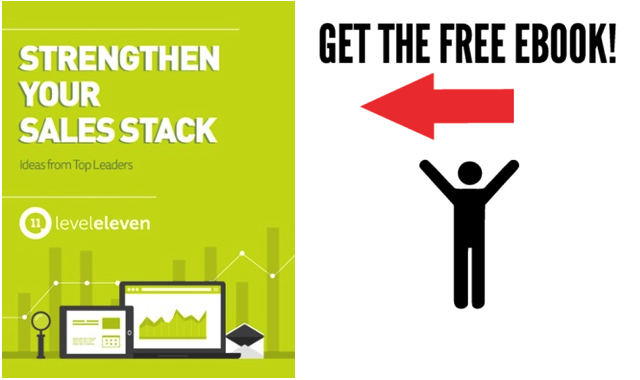 Let’s be clear: a sales stack can improve productivity and efficiency. What it cannot do is solve all of your sales organization’s dilemmas. There is no silver bullet — no simple and seemingly magical solution to a complicated problem. Adding technologies to your sales stack does not automatically create more productivity and reduce inefficiency. It requires a behavior change that allows the technology to enable sales reps. When considering sales stack technologies, evaluate which activities your salespeople need to be doing on a daily basis. Then you have a foundation for what types of sales technologies will enable your team to be more effective. There is a constant flow of new inside sales technology coming to the market. It’s easy to want the newest, shiniest and coolest technologies for your sales stack. But just because your peers have certain technologies does not mean they are the right fit for your own sales stack. There is no perfect sales stack. And just like every company operates very differently, so is every companies’ sales stack uniquely built. Avoid making rash and quick buying decisions in an effort to keep up with your competitors or partners. Purchases should be based on research and testing (a few more essentials for building sales stacks here). There’s a lot of noise around sales stacks, but one of the worst mistakes you can make is to ignore the fundamentals of selling when building your sales stack. Remember: Sales cannot be done entirely by a robot, so forget trying to automate the entire sales process. Your salespeople will always need to be having conversations and doing discovery, and you, as the sales manager, will still need to engage in coaching. It’s okay to be excited about sales stacks, but just keep in mind that it cannot replace human interaction. While you’re in the process of embracing technological advancements, don’t forget to get back to the basics, as well. It's imperative that you avoid these three mistakes when building our your team's sales stack.